When you live in a flat or apartment, the idea of having more space can seem ridiculous. Everyone who lives in an apartment knows that space is something you don’t have. But, there are some brilliant space saving tips that you can utilise in your flat. A small flat and the problem of having enough space can be something of a nightmare. But, you don’t have to suffer the indignity of a lack of space any longer. On the contrary, you can have as much space as you desire for your home. It’s all about adopting smart tricks for the illusion of space. You can ensure that you have a calm and spacious home with these clever hacks. Wall mounted furniture is an excellent way to be inventive with your spacing problems. Having a set of drawers that mount the wall means that you don’t lose out on valuable floor space. Wall mounted furniture comes in a wide range of solutions. You can choose from bedside tables and cabinets to living room storage solutions. 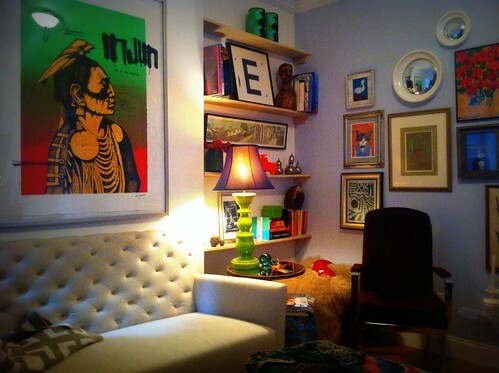 Mounting more of your furniture to the wall means that you are utilising the space around you. So, even if you have a 2 bedroom upper floor flat in Chorleywood, you don’t have to forgo space over style any longer. Shelving is your best friend when you move into a flat. You can have a lot more room to manoeuvre when you have clever shelving in place. Ensure that you have high shelving that extends the reach of your room. This means that you can place everything within the shelves without compromising floor space. Everything can be stored within shelves. Your kitchen is the best place to do this. Pots and pans can be stored at height. After all, shelves need to be practical. They are not just for displaying photos and ornaments. Should you be lucky enough to have huge bay windows in your home, this is an excellent opportunity to ensure that you have more storage without having to fill your walls with stuff. Bay windows are typically very deep. In your bedroom, you can turn your bay window into an attractive nightstand. This will give you the things that you need in your room, such as a place to put your lamp and clock. But, it also means that you can save on space by pushing the bed up to the window. You never know, you may just get a desk in your room too! Of course, storage solutions should also be pretty. So, why not choose a cute vintage storage chest for all of your belongings? In a flat, you are less likely to have loft space. This means that storing your photos and other treasured possessions can be difficult. A vintage style bench gives you heaps more space, but can also be an essential piece of furniture in your home. Add cushions and a throw and turn the bench into a place to sit. Functional, pretty and practical; what’s not to love?